In commercial real estate brokerage the email marketing process has a place and a use. Connecting with customers regularly using email should be quite specific and well planned by any agent considering the process. It requires a plan of action and a high degree of relevance to make emails stand out as valuable and interesting to the clients that are receiving them. It should be noted that most brokerages will send out some form of email dispatch to clients and prospects on a regular basis. That being said, most of those emails sent today are just lists of properties for sale or lease and not much else. Over time the client or the prospect receiving the emails can find the information a bit useless and irrelevant, perhaps even mundane. That then leads to an ‘unsubscribe’. You will always get some ‘unsubscribes’ so the message is that you need more ‘subscribes’ to fill the gaps and grow your database. So the message here is that all the emails that you send as part of the marketing process to property clients and prospects, should be mixed and matched in a number of different ways; in that way you can create greater levels of interest, interaction, and readership. You could send emails that are specific to a property type within your location. For example you may choose to focus on industrial property, office leasing, retail sales, medical, warehousing, redevelopment, project leasing, or shopping centres. If you specialise as an agent within a single property type, then this makes a lot of sense; that will then allow you to market your listings and ideas regularly as an individual and local property specialist. Over time that can help your professional branding as an industry specialised agent. 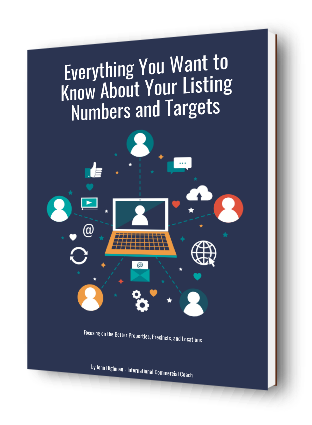 Understand the types of people that may have an interest in your listings; know what they want to hear about. Group your listings so that you can send specific emails containing particular properties to property investors, business owners, and developers. Always use professional photographs within the email, and on any website listings that may be linked through from the email itself. The photographs professionally taken will help generate more interest and lift the hits and conversions when it comes to quality listings and attractive properties. Some of the emails sent can contain images, charts, and graphs in PDF download format that relate to recent sales and leasing activity in the local area. Those charts can highlight and display your industry knowledge and specialisation. Information makes things more relevant and interesting. Track and measure the hits and the opening rates that apply to your email dispatch. You will soon see patterns when it comes to property preferences, improved open rates, and website hits. Generally speaking, emails of this promotional type are usually more effective if you send them towards the middle and end of the week. As part of every email dispatch, enclose one or two articles that relate to the local area and recent property activity or upcoming new development approvals. 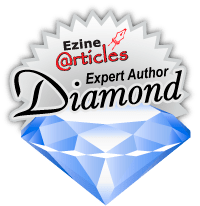 Those articles can be written specifically to the target market and the location; consider the focus of the person receiving the email and how you can make your contents more interesting. You will get plenty of ideas to write about if you monitor local property activities including recent property developments, new planning approvals, recent sale prices, and recent leasing activity. Those articles can also be linked to your social media platforms. After every email ‘blast’, spend time on the telephone talking to your clients and prospects who may have received the email. The focus here is to improve conversions and enquiries. The telephone follow-up process will help you achieve that. So these are very simple and logical steps to take when it comes to the email marketing process in commercial real estate today. That being said, the individual agent sending those emails does need consider the strategy behind the process to lift conversion rates and enquiry opportunities. Take the steps to ensure that your emails read and considered by the people looking to make a change in property today.